'Tis better to give than to receive. That phrase rings especially true around the holidays in San Diego. The Marines hold this phrase in highest esteem as well. Their San Diego Toys for Tots 2013 program is currently accepting donations throughout the Southland to distribute to those less fortunate children whose families are struggling to make ends meet right now. What began as a small group of Los Angeles-based Marine reservists trying to distribute toys to local families in need during the holidays has grown into a time-honored Christmas tradition throughout the entire country. Since 1995, the Toys for Tots campaign has been an official activity of the US Marine Corps, thanks to approval by the Secretary of Defense. Toys collected through the San Diego Toys for Tots 2013 campaign will be distributed to needy children in the San Diego area after December 20th. All you need to do is donate a new, unwrapped gift for any age (from newborn to teen) in person at any participating location in San Diego. Please visit the San Diego Toys for Tots website to find a location near you. If you cannot make a donation in person, monetary donations are accepted at the San Diego Toys for Tots website. Money received from the San Diego Toys for Tots 2013 campaign will be used to purchase presents for children in the age groups that may have a shortfall of donations. For example, the bulk of donations received tend to be for younger children. However, tweens and teens also need something to unwrap at Christmastime. Any money received will help ensure that their needs are met as well. The only items not accepted for donations to the San Diego Toys for Tots 2013 campaign are realistic looking weapons or gifts that contain food items. So, when you are out shopping for your children this weekend, consider picking up an extra gift or two to donate to this year's Toys for Tots program. Happy holidays, everyone! Buy for No Money Down and No Closing Costs! Interest rates are at record lows and are hovering around 3.8 - 4.25 % fixed for 30 years. This is something we haven’t seen in many decades. Prices have adjusted and have actually come down over the past 5-6 years. This has been due to over extended loan financing and foreclosures. Purchasing power is strong due to these first two points. Since there is no down payment using VA financing, it is the monthly payment that is actually being purchased. Because of these factors, a typical San Diego military family can now purchase a beautiful 3 or 4 bedroom home or condo in a very nice single-family, ‘pride of ownership’ neighborhood. This has been unheard of in a city of such high demand as San Diego. Take advantage of this once in a lifetime opportunity! Finally, buying at the bottom of the market allows for the home purchaser to experience a substantial increase in property value – especially if you hold onto to it for 5-10 years or longer. If you would like to know more about your options for owning a great San Diego home, please contact me today. Take charge now. Do it while the rates are still at 60 year historic low rates. There is no better time than now. I help military with marginal credit and give FREE counseling advice. Call Mark Levenson today for a FREE 1 hour consultation so we can get you and your family started on the road to your new home. You’ll be glad you did. According to the latest market trends report, the Southern California real estate market is continuing to provide excellent investment opportunities for buyers. In fact, even with the dreary news reports to the contrary, sales of homes in the San Diego area appear to be poised to rival the sales from last year, when the tax credit incentives helped boost sales for half the year. The San Diego real estate market has 5.1 months of unsold inventory on hand as of September 2011 (the date of the most recent market statistics). This is down from 5.9 months of inventory on hand during the same time period last year, showing that demand for and sales of homes has increased. September 2011 marked the third month in a row that home sales increased, staying at a "stable level" per the California Association of REALTORS®. The total sales volume for September 2011 was 6.7% higher than September 2010, with the median price for a California home being $249,000 (down $16,000 from last year). Pending sales were also up for the fifth month in a row compared to the same period last year. The 3.2% decrease in month-to-month sales prices was attributed primarily to the large levels of foreclosures and short sales on the market (34.2% of total sales were for foreclosures while 17.8% went towards short sales). They tend to be sold at much lower prices than traditional San Diego area homes. These more affordable prices and the availability of conforming loans with low down payments helped first-time homebuyers and lower income buyers purchase homes this year. Investors have also been inspired to jump into the San Diego area real estate market thanks to the great deals out there. In fact, 59% of properties purchased solely for investment (not occupied by the owner) were paid for in cash in September 2011. Those that did take out a loan to fund their investments found that their payments were almost $100 less per month than the same time last year. But, with the rate of foreclosures decreasing (down 15.7% from the third quarter of 2010), buying a foreclosure at auction won't be as easy as before. As of this writing, the interest rate for a 30 year fixed rate mortgage is 3.77%-4.36% APR, according to Bankrate.com. With interest rates continuing to hold steady at historically low levels, inventory of San Diego homes plentiful and varied and affordable prices, there's no reason you shouldn't consider buying a home today. Whether you want to find a larger home for your growing family, downsize after the kids have moved out, need to buy your first home or want to find an investment property to expand your real estate portfolio, I can help you find the right property for your needs. Just contact me today to get started. This is the time of year we stop and give thanks for all the blessings we have. If you're interested in showing your gratitude to the brave men and women who serve our country in the military as well as giving thanks to the families that support them behind the scenes, consider being a Secret Santa. The Armed Services YMCA at Camp Pendelton offers a Secret Santa program for members of the general public to show their appreciation to military members by sponsoring a family each year. Through the Secret Santa program, a military family (with a junior Service Member ranking E-5 or below) will fill out their own "wish list" of what the military family wants/needs for Christmas. These lists are filtered through the Armed Services YMCA staff and passed along ot members of the San Diego community interested in being a Secret Santa. Along with the wishes, the sponsoring civilian family will be given the first names of all family members, the ages of the children, their clothing sizes (where appropriate), the rank of the active military member and the unit they serve in. The sponsoring family shop for items on the list , wrap the gifts and drop them off at the YMCA administrative office. Members of the YMCA staff will then hand out the gifts to the military families on specified days just before Christmas. The Secret Santa program at the Armed Services YMCA in Camp Pendelton has been an incredible success over the year for both the families of our military members as well as the San Diego community at large. If you, your company or an organization you belong to wish to be a Secret Santa, please call 760-385-4921 today. We owe an incredible debt to the brave men and women who fight for the freedoms we enjoy everyday here in this country. The San Diego Veterans Museum and Memorial Center believes that only honoring them one day a year simply isn't enough. Instead, every third Saturday of the month in San Diego, the center holds a memorial service to honor vets from current and past wars, including those that were not honored in the previous month's service. The next service will be held at the Veterans Memorial Center in Balboa Park (2115 Park Blvd, San Diego) this Saturday, November 19th from 12:30pm to 2pm. The service will be take place in the Main Chapel of the center and will include the reading of names, a 21-gun salute and the playing of Taps. This service is always free and open to the public. Full military burials are provided by Dignity Memorial and Glen Abbey Mortuary for all indigent Vets. For more info, please contact the Veterans Memorial Center's information desk at 619-239-2300. Military service members do so much for us and ask nothing in return. This memorial service in San Diego is a nice way to show your appreciation for all that these amazing men and women have selflessly sacrificed their lives for us, the American people. If you can, please find a way to come to a service. If you can't do it this month, there will be another one on December 17, 2011 at the same time. It just became cheaper to finance a VA loan. When military members purchase a San Diego single-family home or condominium through the VA loan, they are charged a funding fee. On October 1, 2011, the VA funding fee was reduced. This means that the cost of financing a VA loan is less, which makes your monthly payment less (because the fee is usually incorporated into your monthly payment) and, ultimately, makes it more affordable to buy a San Diego home. The funding fee will be 3/4% for both active and retired service members, Reservists and National Guard members the first time they use their VA entitlement. When using their VA entitlement for the second time (or higher), the funding fee will be a 1/2% for any military member (active or retired) putting down 5% or less as well as cash-out refinance transactions and 3/4% for any military member using more than 5% as a downpayment. All rate reduction refinancing loans will continue charging 1/2% for the VA funding fee (no changes to previous rates). All disabled veterans (who were disabled while in the line of duty) and surviving spouses of military members who died or were disabled while in the line of duty remain exempt from paying the funding fee. If you are confused about which category you fall under, contact your VA representative. If you don't have a great VA loan representative, please contact me and I will refer you to one. Any member of the military who is looking to buy a San Diego home should seriously consider using their VA entitlement, especially since the VA funding fees have been reduced. Interest rates continue to hover around 4%. This is a 60 year low. 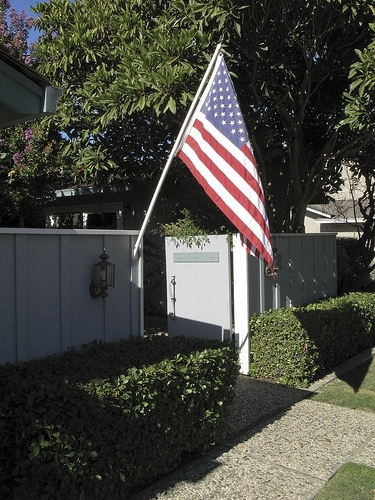 There are some great VA homes to choose from in the San Diego area. Home prices are more affordable than ever before. Many clients I'm helping are paying the same or less to own their own home than their current BAH and rent payments! Contact me to find out which homes are selling under VA terms and I'll be happy to help you find the home of your dreams. By the first week of May 2011, gross domestic product was slowing, and unemployment was spiking. Yet housing sales were up on lower median prices. Mortgage interest rates were dropping. Gas prices ignited inflation, but it’s already drifting lower again. Personal incomes and consumer spending rose. With such dizzying swings in economic indicators, it’s hard to decipher which direction housing is heading. But as prices bounce along the bottom, a rebound in the future looks more and more certain. Home Services of America CEO Ron Peltier says supply is still outpacing demand. Current sales of existing homes are tracking closely with the numbers achieved during two years of tax incentives for home buyers. Distressed homes are 40% off peak prices, while existing home prices are 30% lower,said Peltier. That means incredible opportunities abound for those in the position to take advantage of record affordability. The National Association of Home Builders/Wells Fargo Housing Opportunity Index found that 73.9% of all homes sold in Q4 2010 were affordable to families earning the national median household income of $64,400 – the highest HOI in 20 years. The housing correction also took its toll on rental prices, but they’re rebounding quickly. Tight credit conditions for home buyers are turning many potential home owners into renters. In the last five years, the number of renter households has grown by 700,000 annually. Further, mortgage delinquency has declined every month in 2011 according to Freddie Mac, so the much-feared shadow inventory of homes taken back by lenders may be declining. As rents rise, home ownership begins to make more sense, which may explain why pending contracts have risen six out of the last nine months following the termination of federal and state incentives. Whether excess inventories of homes are purchased or rented, they’ll be removed from the market. About 4 million vacant units could be absorbed in a year or less, according to a recent study by the Joint Center for Housing Studies at Harvard University. The main reason available housing inventory is being snapped up is affordability. It currently takes only 13% of household income to buy the median priced existing home at $157,000, well below the 28% maximum required to qualify for a federally insured loan, according to the National Association of REALTORS®. That said, it’s important to remember that housing sales are still competing against last year’s incentive-driven numbers. Despite rising sales nationwide, the market appears to be underperforming, when the opposite is true: home buyers are buying without additional incentives for thewise investment of owning their own homes. California is a perfect illustration of this phenomenon. Statewide housing sales were up 33.3% in March 2011 over February, but down 2.4% from a year ago, says DataQuick. The median price paid for a California home in March was $249,999, up 2% from $244,000 in February but 2.4% below the $255,000 median price of March 2010. Despite recent price declines, California home prices are still well above the April 2009 bottom, when median prices sank to $221,000, yet well off the peak of $484,000 set in early 2007. Another sign pointing toward housing stability is fewer foreclosures. In February 2011, the number of foreclosed homes sold in California fell to 39.3% of supplies sold, down from 58.5% of all homes sold in February 2009, says Dataquick. Fewer notices of defaultwere filed in Q1 2011, 15.8% below the number filed in Q1 2010, and the lowest number filed since Q2 2007, during the worst of the downturn. That means the pipeline of foreclosed homes is narrowing. Home buyers can rejoice that mortgage interest rates are at year-long lows in the first week of May, compared to 5% a year ago for the week ending May 5, 2010, says Freddie Mac. Couple that with the fact that 69% of first-time home buyers can afford an entry-level home in California (as of Q4 2010) and it appears that housing is indeed on the rebound. Advice for buyers: With every spike in affordability comes a corresponding increase in mortgage applications. As mortgage firms operate with smaller staff and greater risk assessment, expect your loan to take longer than usual. Lock in your low rate nowby applying for your loan and providing the lender every piece of documentation he or she requires. Attention San Diego Military! What a great time to buy Real Estate! For those of you who would like to purchase a home or condo in San Diego, this is as probably as good of time as there has been. 1) The prices have adjusted back to the same prices they were about 6 years ago. 2) the interest rate for a 30 year fixed VA loan is approx. 5%. It's about the lowest rates have been in 40 years! This is a lethal combination as buying power is strong. Fortunately, San Diego is one of the most sought after areas to purchase real estate in the country. Because of this we tend to rebound faster than most areas. Historically prices go up considerably in value here because of this high demand. Because of this, this is a great time to lock in your interest rate and payment and purchase a property. Once the market is back humming again you will be glad that you own (instead of renting or living in housing). Besides the usual large number of renters that do come out of the woodwork when the market is humming, investors come out and buy in large numbers. What does this mean to you? Escalating prices due to high demand. That's the advantage of owning real estate in an area such as San Diego. It is not unusual to be sitting on 6 figure equity appreciation in 5-7 years time. How much equity is there in renting? None. Most real estate agents don't do a lot of VA business. Because of this the military and their families are short changed. Most listing agents don't offer VA terms on their listed properties. Why is this? Their perception isthat it is more expensive to have their seller sell under VA terms and that it is more difficult to get approval. The reality is that this is a false perception that is perpetuated by lack of knowledge. It is actually easier for a buyer under VA financing to obtain a home loan than most other programs. The reality of this just has not caught up with the industry in general. I work with many clients with numerous credit situations and their own unique needs. The VA is very fair in their credit requirements. Credit can be repaired. 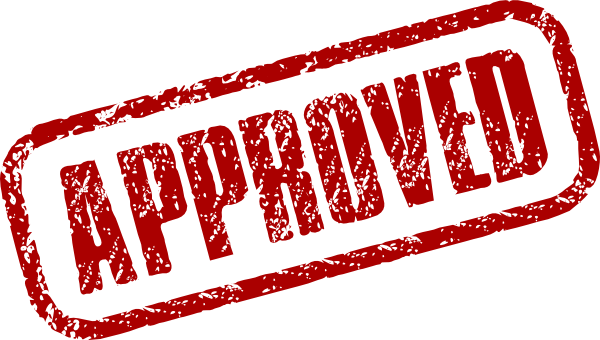 I have excellent VA Loan contacts who will give my clients a FREE credit report and advice to help position them for VA home loan approval. There is no better loan available anywhere other than the VA loan! To search ALL MLS homes for sale in San Diego Visit www.SanDiegoVAHomes.com. My appoach is to treat my clients the way I would want to be treated. And to represent my clients the way I would like to be represented. For this reason I am able to negotiate great properties and great terms for my clients. Feel free to contact me with any questions that you may have. I am here to serve your needs.